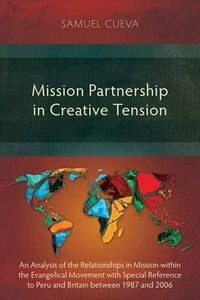 Samuel Cueva has refined his concept of 'partnership in mission' by advocating the use of reciprocal contextual collaboration in this important contribution to scholarly reflection on contemporary missiology. Referencing historical, theological and functional aspects of how mission has been carried out, as well as analyzing it's impact on the evangelical movement, the author identifies that mission always develops with positive and negative tensions. Emphasizing an understanding of current missions which include traditional, networking and emergent models, and how they can be combined, interconnected and interchanged, the author proposes a fresh model that ensures the suitability for every mission context. About "Mission Partnership in Creative Tension"